It is taking some time to get used to having more freedom. Founded in 2012, FWD Thailand is one of the kingdom’s newest insurance companies, and together with their banking partner, TMB, they are delivering services to more than 700,000 customers nationwide. While the company’s aim is to make money for its shareholders, like the majority of businesses, there is a strong sense of corporate social responsibility in the company, which is led by CEO Mike Plaxton. Mike Plaxton, CEO of FWD. 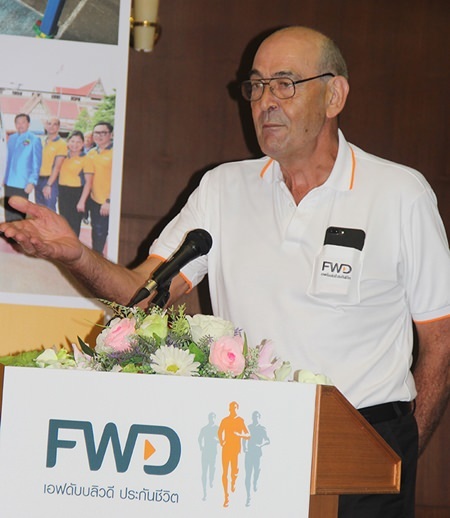 A large contingent of staff from FWD recently traveled to Pattaya for the opening ceremony of their newest call center, which is located on the same site as the Father Ray Foundation and employs only people living with a disability. 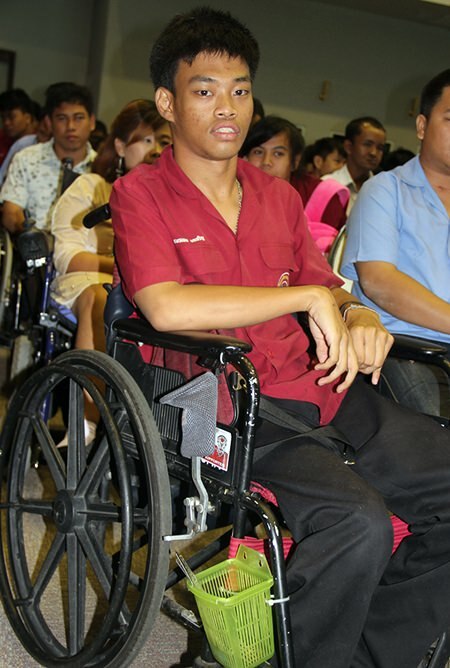 The employment law in Thailand states that if a company has more than one hundred employees then 10% of its employees must be registered as a person with a disability. 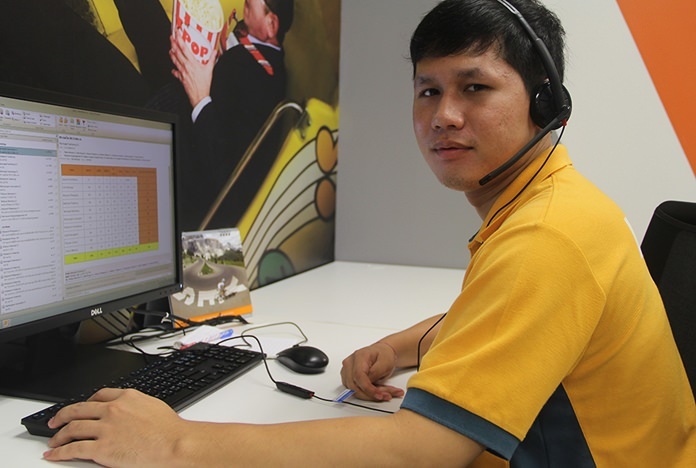 The new FWD Thailand call center joins similar centers from Powerbuy, AXA Life Insurance, 1479 Hotline and AIS Telecommunications, who are all located at the Father Ray Foundation and they all employ people with disabilities. 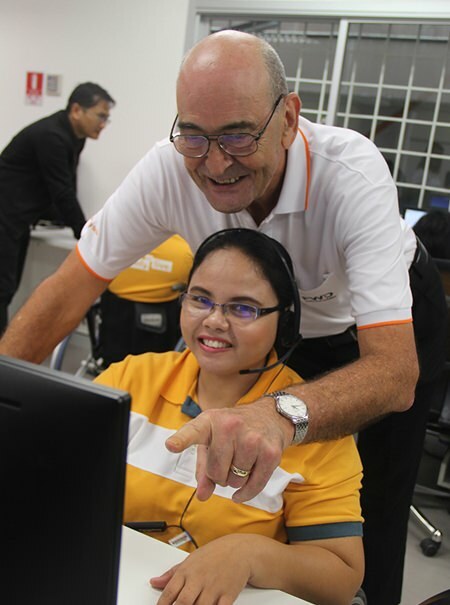 The CEO advises one of his newest members of call center staff. 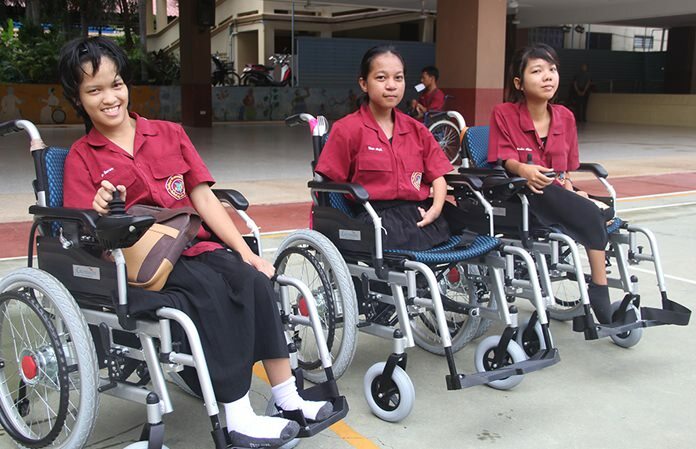 Not only did FWD Thailand open a new call center, Mr. Plaxton also donated five brand new electric wheelchairs to five severely disabled students at the Redemptorist Vocational School for People with Disabilities. It was a closely guarded secret as to which students would be receiving the new chairs, but when the five names were announced, one young man and four of the female students, it was clear to see just how overjoyed they all were. The minute their names were called their life changed. No longer will they have to rely on others to push them up a ramp. No longer will they be left behind at the school when all their friends have gone down to Big C Extra on their day off, and no longer will they need help to cross the road. Now they are free to go wherever they want to go, and it is amazing to think that a wheelchair with a small engine attached can change the life of a young person. Life is about to change for one young man. The workers have equal pay and equal rights as all FWD employees.